CES 2019, the year’s first major technology show, is due to showcase this year’s hottest and most sought-after gadgets when it commences on January 8. More than 4,400 exhibiting companies were present at the 2018 show, with total attendance hitting 182,198. However, there’s no need to worry if you can’t make the show, as 2019’s latest technology products for the home and for personal use are unveiled below. 2019 will see foldable phones hit the market. The U.S is already one of the biggest smartphone nations in the world, with Statista reporting that 230 million Americans own one. But things are set to get bigger now that the foldable phone is coming. Samsung, Motorola, LG, Apple, and Huawei have all unveiled patent foldable phone designs which promise to transform the already high-tech smartphone into a tablet in seconds. This will be beneficial to consumers, as it will limit the number of gadgets they have to purchase and carry around from place to place. 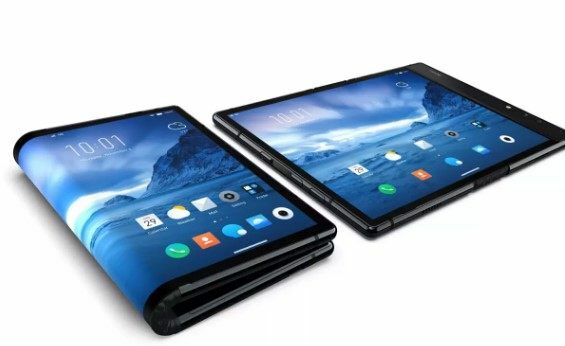 And with Huawei promising that their foldable phone will be powerful enough to “replace a PC”, the future is definitely foldable. The standard resolution for televisions currently sits at 4K. However, 8K TVs offer four times the amount of pixels on a 4K television and 16 times more than you’ll get on an HD screen. As a result, the picture is extraordinary, crisp, and clear. 8K is set to become the new normal over the next year, as live 8K images are going to be displayed during the Tokoyo 2020 Olympics. And manufacturers are preparing for this big shift in technology now. Samsung is the current leader of the 8K TV pack, with the launch of the Q900FN TV in fall of last year. Meanwhile, Sony, Samsung, and LG are thought to be preparing to showcase even more 8K TVs at this year’s CES. It’s speculated that manufacturers will demonstrate 8K and 360-degree cameras and camcorders at CES, as the demand for physical cameras soars over built-in ones in smartphones. In a similar fashion to the impending 8K TV, images and pixels that come with cameras and camcorders will strengthen in 2019, which will benefit consumers wishing to record memories for life, allowing them to benefit from high specifications, mirrorless designs, and dual processors. More than 25% of American adults will use a voice-activated digital assistant regularly this year, according to data from EMarketer Inc. Meanwhile, when shopping for smart-home gadgets, consumers care more about smart speaker compatibility than brand. Therefore, 2019 will be awash with new gadgets which can be controlled by voice. The Elmer Smart Shower is due to head to the U.S soon. It’s compatible with Alexa, and allows users to remotely turn their shower on and off, and adjust temperature, flow and pressure. Furthermore, it also plays music and sprays essential oils for the ultimate shower experience. Meanwhile, the Voice Innovation Faucet, a smart tap which connects to Alexa, will reduce water waste, as this gadget will let users control quantity and temperature remotely. This year looks set to be another great year for innovative, trendy and desirable gadgets and technology. Foldable phones, 8K Televisions, almighty cameras, and a whole host of voice-enabled smart gadgets will be launched in 2019 for gadget enthusiasts to devour. Thanks Katlyn Robertson for the article! This article is very much helpful. But still I have question on it should I ask here ? Yes, thank for commenting. What you are concerning about!